Using this lesson guide you can explore snapshots of family life in 20th Century Scotland. What were the different challenges people were met with in the past, and how similar or different are they to the difficulties families are faced with today? The film was made by the Education Department of the Glasgow Corporation in 1934. It was one of a series of fund raising appeal films produced for the Glasgow Necessitous Children's Holiday Camp Fund (NCHCF). A report in 1934 estimated there were 67,000 children in Glasgow whose parents were too poor to afford a holiday. Between 1925 and 1937 the NCHCF organised holidays for 67,984 children to Scotland's coast and countryside, an average of 5229 children a year. After the Wall Street Crash of 1929, many Glaswegian families suffered in the 1930s because of the decline in heavy industries. In 1933, 30% of Glaswegians were unemployed due to the severe lack of demand for industries like shipbuilding. The fundraising films were screened in commercial cinemas or community events. At the end of the film the lights would go up and collecting boxes would be passed around the cinema. The film presents the hardworking but endlessly unlucky Trauchle family. Mrs Trauchle is in hospital so Mr Trauchle has to look after the two boys on his own; a task which he finds to be quite a handful! Sound quality is poor as 'talking' cinema was still relatively new. At 2'10”, one of the boys says, “If we had a penny, I could gin doon and buy a comic. And we could hae a bit each. And sit doon and read. And never mak a cheap.” This a definite plea from the boys that they are not asking for much – just a penny would help! Watch the film from 1'00” to 2'00”. How do the opening shots of the film set the scene for the Trauchle household? Pause on each shot. What information does each freeze frame suggest about the Trauchle neighbourhood? 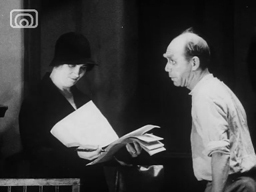 The characters speak in their native Scots tongue, which is very unusual compared to the Received Pronunciation spoken in the vast majority of newsreels and feature films from that era. Do you think this was important? What audience was the film aimed at? 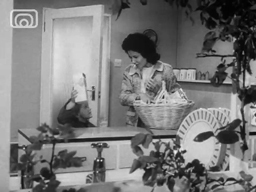 The film also shows Mr Trauchle struggling to cope with a number of domestic tasks. What are they? Why would it be unusual for a husband in the 1920s to carry out these tasks? What other devices does the film use to gain the sympathy of the audience? Sir Charles Cleland, who introduces the film, speaks and dresses differently to Mr Trauchle. How did the class system influence education and social standing in 1930s Glasgow? Does class still have an influence in present day Glasgow? Sir Charles Cleland has a proud twinkle in his eye when he reveals that the NCHCF realised £400 - £500 in the previous wireless appeal. How much money would that be today and how many boys would it send to camp? Were girls also allowed to go to camp? Compare the film with modern televised fundraising events like Children In Need and Comic Relief. What similarities and differences are there between the two eras? Are the basic needs and wants of children any different? Write a report from the point of view of the lady from the Education Authority. Use the evidence from the film and other information you have researched from that period to reach your conclusion. The style of the film is greatly influenced by the early film comedies by Laurel and Hardy, Charlie Chaplin, Buster Keaton and Harold Lloyd. Most of the films were made in the silent era and the comedy is told through physical movement, gestures, expression and a lively soundtrack. Watch some of these old classics and collect ideas for acting, scripting, filming your own comedy film. Watch the other films made by the NCHCF, Sunny Days and Sadness and Gladness. Write a diary entry, letter or postcard home from the point of view of one of the boys and his experience of going to camp. Research the work done by Barnardos and Quarriers to help children in need in modern day Scotland. Run an Enterprise project to raise money and awareness. You could even film an updated version of 'Tam Trauchle's Troubles'! 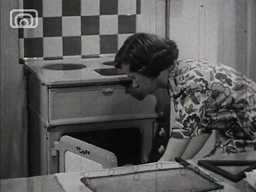 Filmed in 1951 for use in schools in the teaching of domestic science. In 1951, domestic science was taught exclusively to girls, to teach them the skills of housewifery and housemaking. Boys were sent to woodwork or metalwork classes. The role of the father and mother were played by two teachers at James Clerk High School. Father was played by Iain Lee, the French and Spanish teacher, and mother was played by the domestic science teacher. The post-war period between 1945 and 1951 is referred to as the Age of Austerity and is often painted as a fairly tough and colourless time in British history. The Labour Government of the era under Clement Atlee pursued collectivist policies of social reform and reconstruction despite the fragile economic state of the country. Many heavy industries were nationalised and the Welfare State and National Health Service were introduced, promising universal health care 'from the cradle to the grave'. During the Second World War, women had made groundbreaking contributions to the war effort and made advances in society beyond their traditional roles in the home. They built tanks, operated behind enemy lines and joined the Land Army. The victory of war brought these advances to an abrupt end and suddenly women were expected to return to the home. Rationing was still in place for most important foodstuffs and the heaviest burden fell on housewives, whose place it was to queue in long hours and all weathers to collect the rations. The film narrative is very detailed and factual. Ask the class why it was made and who was it made for? Discuss the gender differences the film describes between the roles of men and women? How does this compare with similar roles today? Compare the family lifestyle and home with the family shown at 4'23” in the film Glasgow Today and Tomorrow. What does the father do? Does the mother enjoy her tasks? In what ways are the living spaces, dress, food and furniture similar or different in each film? Compare this and the family's routine with your own home. What film elements could make the film more dynamic? How could music, sound effects, transitions and titles change the tone of the film? Ask your family to keep a diary of their actions for a day. Make a list of the activities and actions of the family from the film and compare with your own. Download the clip onto movie editing software. Divide the clip to make a series of lessons. Add music, sound effects, transitions, titles and perhaps even your own voice-over to update it. Debate the issue of gender roles as presented by film. “Women today are no longer chained to the kitchen sink.” Discuss and debate from both sides of the argument. Write a short story, script, act or make a short film highlighting a snapshot of a modern day scene in your own house. This collection of Public Information films from the same era provides a different insight into the mood of the time. The film comedies made by Ealing Studios offer an alternative take on Britain in the age of austerity. A Passport to Pimlico and Whisky Galore are especially good! A short advert made by the Co-Op in 1969.
Who is the advert aimed at? Where do you think it was shown? Do you recognise any of the brands or packaging? Why aren't men unpacking the shopping? What expectations did women have for employment in the 1960s? Watch this film to add to the discussion. Can you think of any present day adverts which are directed more at women or men? What adverts will you never forget? Why do they appeal to you? Explore the other Co-Op adverts on this site. Which adverts are the most effective and why? Analyse the music, voice-over, camera shots, graphics and how effectively they help sell the product. Investigate and collect examples of advertising by modern supermarkets. Do they have anything in common? What tricks and techniques do they use? Design and create an advertising campaign for a new brand of food to be sold at a supermarket. Act, script, animate or make a live action film of an advert for your product. Download the clip and give it a modern day twist by editing it with a new soundtrack and voice-over. The Big Mill was made in 1963 by the Films of Scotland Committee, under the guidance of the Oscar-winning Scottish documentary filmmaker, John Grierson. The Films of Scotland Committee was responsible for marketing Scotland on the big screen and produced 168 films in the years between 1938 and 1982. The Big Mill follows the production of sheet steel at the Ravenscraig and Gartcosh Works of Colvilles Ltd. in Motherwell. The steel met the demands of domestic and international industrial markets. The steel works was a vital source of employment supporting many families and was the lifeblood of the local economy. Decline in steel production in the 1970s and 1980s coincided with the decline in other heavy industries such as shipbuilding and coal production. When Ravenscraig closed in 1993 it led to the loss of 770 jobs and another 10,000 jobs were lost, directly or indirectly linked. Who is the wee boy? Where is the film set? How do the colour, music and camera shots influence the mood? The mill is personified as 'a demanding giant'. How do the narration, music and camera shots help shape this persona? The clip at 3'05” gives some examples of where steel is used 'invisibly'. How many different uses for steel can you list? The sequence from 3'35” to 5'00” uses a clever mixture of music and poetic narrative that makes it feel almost like a children's storybook. What would an average working day be like for one of the men who worked in 'The Bath?' (5'00” to the end of the clip). Compare this with the father from 'A Day in the Home'. Try watching this sequence without the sound. What sound effects and noise would you expect to hear in a large factory? The sequence from 1'50” to 2'50” uses an impressive array of match cuts and continuous camera movement to follow the steel's journey from the works to the city. Storyboard this sequence and identify and discuss the techniques used. 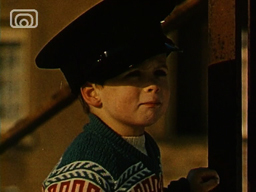 Write an account about a visit to the steel works from the point of view of the wee boy at the beginning of the film. The film has fantastic scope for inspiring poetry. Elaborate on this notion of the mill as 'a demanding giant' and write a poem inspired by the clip. Download the film, re-edit the clips, and record a voice-over of your poem. You could even add background music or sound effects. Write a 'day in the life' diary entry from the point of view of one of the men you see working in the film. Or act, script and film a scene of the dialogue a handful of men might have in the pub at the end of a hard working day. How were families and the local community affected by the closure of The Big Mill? Write a newspaper article on the day the mill closed, interviewing various people in the community, families, trade union reps, steel works managers, politicians etc. Or act, script and film it as a news broadcast. You could include clips from the documentary. Perhaps you could even find the wee boy, now a grown man who has worked at the mill all his days. What are his thoughts looking back over all those years? Bitterness? Resentment? Anger? Sadness? Disappointment? How does he feel about the future? 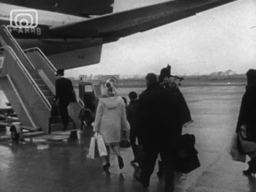 Clearance 68 is an STV produced TV documentary, made in 1968, discussing the pattern of Scottish emigration. The title is in reference to an earlier period of Scottish emigration in the 18th and 19th Century known as the Highland Clearances. The film states that roughly 300 people are leaving Scotland to move abroad each day. And over time, only 200 will return. What variety of factors and opportunities do you think will be making the 'disenchanted Scots' leave? And what factors will determine why they don't return? What characteristics does the narrator list which make Scots good emigrants? Do you agree with him? The narrator has a sharp tone and unusual turn of phrase that makes it difficult to guess whether he thinks that emigration is a positive thing. What do you think? What does the narrator mean by 'more quietly Rhodesia?' What does his description of Australia tell us about some of the common racial opinions of the day? Research and investigate the post-war immigration of Scots to Australia. Australia had an assisted passage scheme (ten pound poms) and quotas to attract Scots to bring their skills and labour overseas. At the time, Australia also had a White Australia Policy. Why was Australia working so hard to bring people into the country to work? Present your ideas as a talk or multimedia essay. Research examples of Scottish place names that can be found in the countries mentioned in the clip. Display them together on a large class map. Research and compare the similarities and differences between post-war Scottish emigration and the Highland Clearances. Write from the point of view of a family member emigrating to a new country. What fears, challenges, hopes and dreams do you have for your new life? Research the cultures and histories of the indigenous peoples from the countries mentioned in the clip. Research the history of immigration to Scotland in the post-war period. How have people from other countries helped enrich our culture and economy and create a more diverse society? What challenges do we face living in a multi-cultural society? This is from a schools programme called, 'Happy Families.' It tells the story of a man whose wife has left him to bring six boys up on his own. What year do you think the film is from? Freeze frame on various shots to discuss the detail of shops, buildings, clothes and cars in the frame. What problems has the father faced coping as a single parent? What is the 'Corporation Home?' Do you think it was an easy decision to put them there? Why was it 'impossible' to keep the family together when they were put into care? What is your impression of the room in which the children are sleeping in? Hot seat the characters of the boys and explore how they might feel about their mother leaving, being put into care and the efforts of their dad to look after them. What support is available to single parents and struggling families? Compare the home life of the boys with the family clips in Tam Trauchle's Troubles and A Day in the Home. This lesson guide was prepared by primary school teacher Athole McLauchlan. Updated September 2016.